1. Foreign clothing and electronics not yet available in China are of substantial interest to the wealthy Chinese consumer. 2. Not only is there interest for products not yet released in China, but also for products that will never release in China. For example, many Chinese citizens are extremely cautious of baby formula after the disastrous events in 2008. Thus, many cross-border retailers offer baby formula from the US and Europe (usually at twice the price it is sold domestically in these countries). 3. Finally, in order to avoid counterfeit products, many consumers believe that buying overseas is a safer option. Although the consumer exerts most of the force behind the increase in cross-border e-commerce, the government is playing an increasingly important role. Government action has produced a favourable postal duty of 10-50% for a substantial number of personal use items. Eight Chinese cities have swiftly established trade zones that qualify for this tax policy. Through this interest, cross-border e-commerce has carved out a sizeable chunk of the e-commerce market. 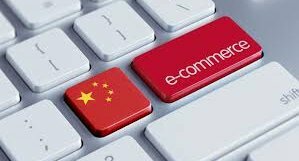 Last year, cross-border e-commerce totaled an estimated RMB259 billion, which translates into over 6% of China’s total e-commerce market. In response, e-commerce kingpin Tmall created a cross-border platform named Tmall Global and has partnered with the likes of US giant Costco. Following suit, the popular shopping site JD.com launched its global platform JD Worldwide, and has recently acquired Walmarts e-commerce division. In addition, Amazon offered its site to Chinese consumers as well as flooding its Chinese site with foreign products. Not only do these global platforms have a bright future, but they also offer a new path for foreign businesses trying to break China- instead of trying to become a major Chinese player, it might be easier (and cheaper) to stand on the shoulders of one. Amazon FBA rules have and are being tightened weekly, to ensure; quality service, no fake wording, false ratings, below spec products; since opening accounts to Chinese, who are used to selling on Taobao which as laxer rules. I can see a future of brand name products originating from China Asia, being sold by Chinese back to Chinese at high premiums on Amazon, as you cannot see the FBA seller details. These could be below the normal high street price as the seller would be avoiding brand royalties. Leaving the question how to protect your valuable brand name and be sure you getting the due royalties.